Brought to you by Guelph Pride, Out on the Shelf, ARCH, and Shaggy Moss! Come and join us for a city-wide clean-up initiative as we put together our own fabulous team! We'll be joining up with the Clean and Green crew to clean-up a park of our own. Come out and clean up the earth for a day, and meet some wonderful new friends from the community while giving back! Then we'll pop over to Out on the Shelf for a FREE LGBT2QI+ clothing swap from 1-3pm! Donations welcome, get in touch at education@archguelph.ca if you have any questions. 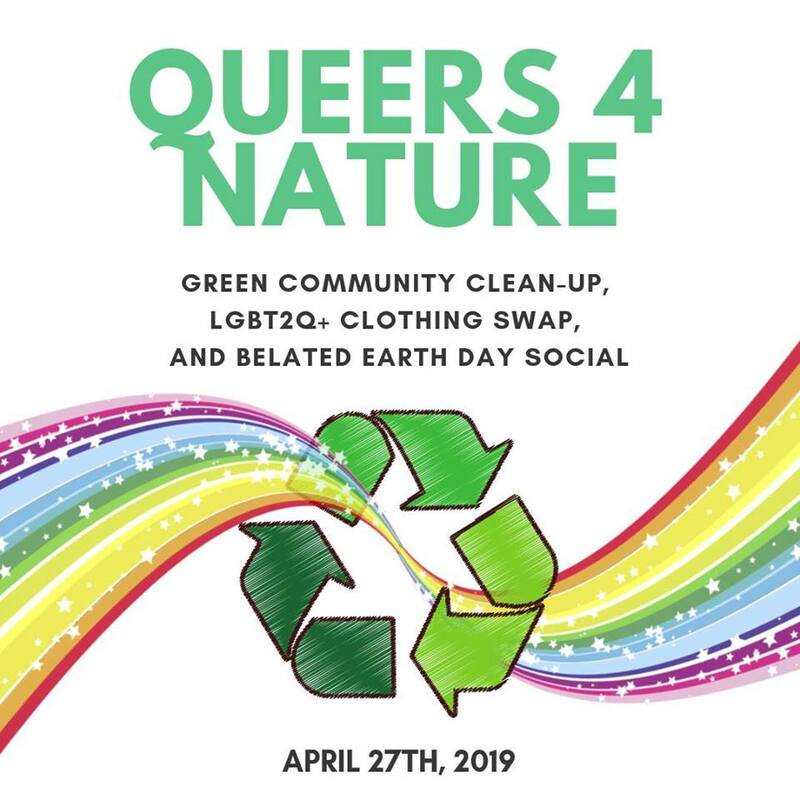 Please register for the clean-up, even if you are unable to attend the clothing swap. This will help us ensure we have enough materials for our team!